Error Message - Need Help Fast!!! Help! A person trying to submit is getting an error message and it doesnt let them submit. Unsure why, they said they answered every required question (every one with w/ a red asterisk (*)). What does this mean and how can we fix it FAST?! 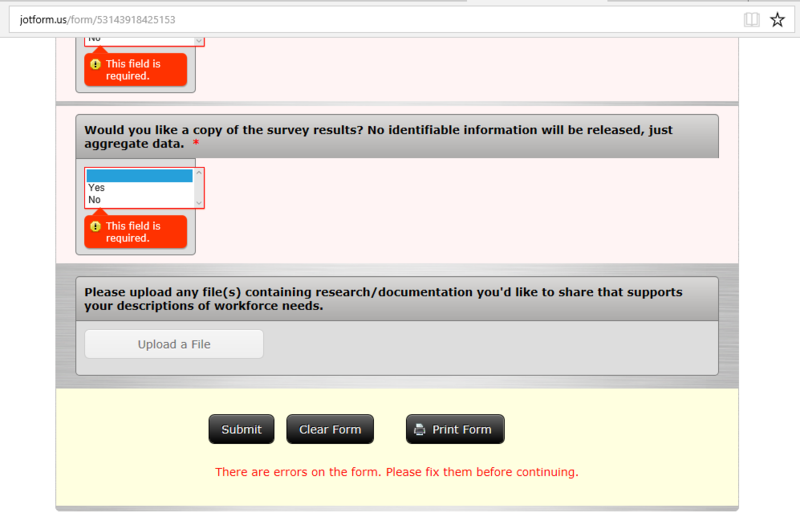 Photo too large to attach but message reads: There are errors on the form. Please fix them before continuing. That is a standard error message. You get that when the form has required fields that haven't been filled in. You cannot submit a form until all required fields have been filled with valid data. I tested your form and could successfully submit your form. Its working properly.